These two books by Leah Wilcox take fairytales on a humorous spin. They both have very catchy, rhyming text and hilarious storylines. My two boys love them! 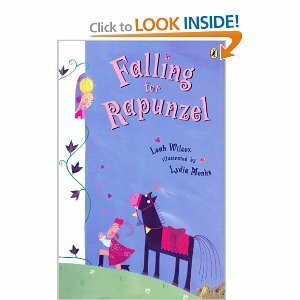 In Falling for Rapunzel, the Prince misunderstands her cries and calls to her to throw down her hair so he can save her. Rapunzel is a little hard at hearing (that or slightly dense) and throws down all sorts of items! 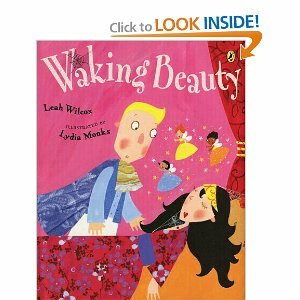 Waking Beauty is about a know it all Prince who, like Rapunzel in the previous book, is slightly dense). He stumbles upon Sleeping Beauty and her fairy godmothers and attempts to wake her. However, he doesn't take the time to listen to the fairy godmothers and goes about waking her in his own way. "Please, love, just your silky tresses!" She thought he asked for silky dresses. the prince's cheeks were blushing red. "Rapunzel, do you have a rope?" It burst in pieces on his head." Oh, bad catch!" Rapunzel said. "We see you finally made the trip,now give the girl a little lip. and hollered "WAKE UP LAZYBONES! "Her snores drowned out the faries' groans. They shook their heads, "No, not like this, you have to wake her with a-"
"Hey, I know! He tapped his headand started jumping on the bed. 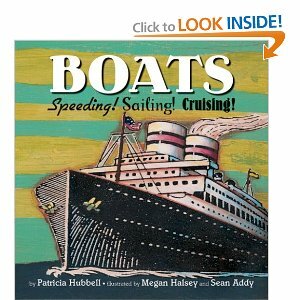 We recently discovered this collection of books by Patrica Hubbell at our library. We checked out Trains and Airplanes and the boys (and I!) loved them so much that I ordered all 5 from Amazon last night. I got them used for pennies and the total for shipping all 5 was $26 or something like that. 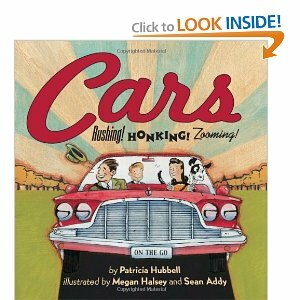 The books have very interesting and eclectic, mod-podgey illustrations and catchy, rhyming text. The boys ask to read them over and over! I used Random.org (I promise!)... I'm just at work on lunch and can't do a screenshot. Alison, email me with your address and I'll pop your book in the mail! A group of dinosaurs are playing peacefully in the schoolyard when... oh no! 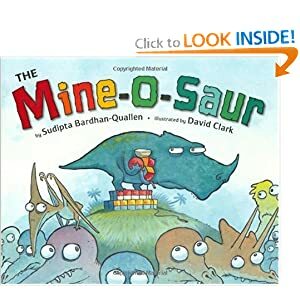 Here come's Mine-o-Saur! He snatched the jump rode and the ball. He threw the cars against the wall. Throughout the day, Mine-o-Saur continues on his "MINE MINE MINE" rampage. Pretty soon, no one wants to play with him. And Mine-o-Saur realizes how lonely it is without friends to play with. Will he be able to make up with the other dinosaurs again? 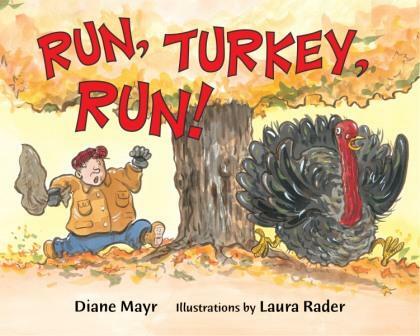 With Thanksgiving only one day away, can Turkey find a place to hide from the farmer who's looking for a plump bird for his family feast? 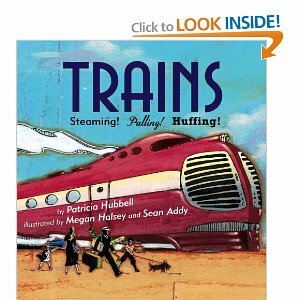 I found an extra copy of this book and would love to give it away to another family to read together this Thanksgiving. To enter, leave me a comment with your favorite holiday book! Entries must be in by Wednesday 9am. Winner will be chosen Wednesday evening via Random.org. Doggone dogs begin to bark. "No, dogs. Down, dogs. Sit, dogs. Hey!" Doggone dogs do not obey! 10 unruly, adventurous dogs take their pajama clad owner on an exhausting chase through Central Bark, Dog Obedience School, being captured and then plotting their escape. They ultimately end up back home on the couch, exhausted. Three dogs, two dogs, one dog. Done! 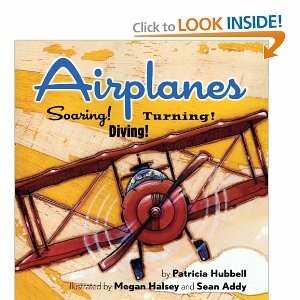 This book is adorable and hilarious. 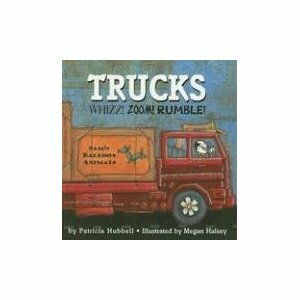 The story is captivating and the rhymes are simple and quick. The pictures, I think, are my favorite part of the story. 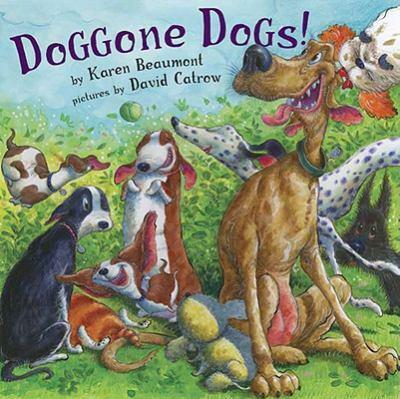 David Catrow was a perfect pair for Karen Beaumont in this hilarious dog book! "Beep! Beep! 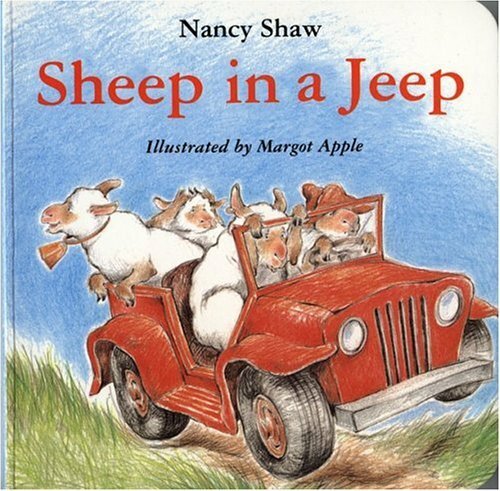 Sheep in a jeep on a hill that's steep. . . . Sheep leap to push the jeep. . . ."
A perfect rhyming book for beginner readers... five sheep pile in a jeep (of course!) and embark on a crazy journey resulting in a jeep in a heap... for sale... cheap!